The turtle symbolizes family, and we placed a few elements inside the shell relating to the family of Lars, for whom this design was prepared: centrally, to symbolize its importance, we placed a koru (new life, his baby) embraced by the figures of a man and of a woman (him and his wife), with mountains (stability) surrounding it and shaping a sun (positivity, eternity). The dot below indicates the importance of this baby, who becomes the center of their world. Below it we wrote their family name, Nissen, as a maorigram and the edges of the shell are made by the coconut flowers motif to symbolize abundance and wealth. 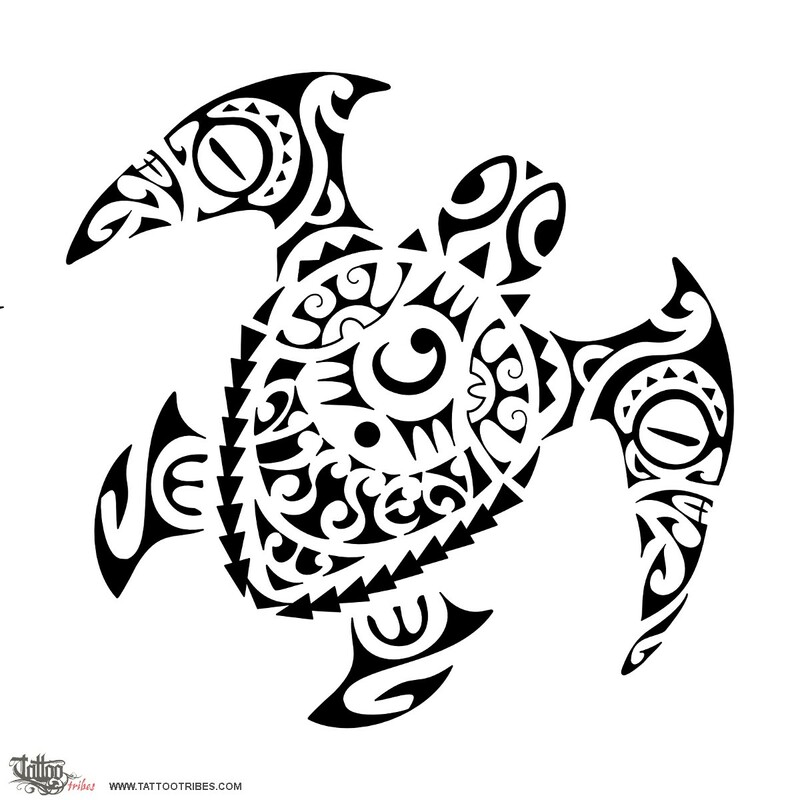 On the shell below the name Nissen there is a stylized hammerhead shark motif to symbolize determination and strength. 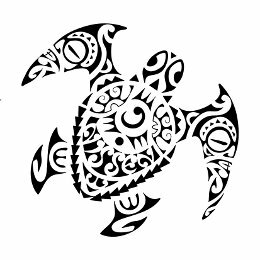 The front fins are shaped like tikis and protect the family from every side, ending with fish hooks like the back ones again as a wish for prosperity and protection (tiki hands in the back fins).